Although this hamlet takes up less than 5 square miles, it is home to the largest freshwater lake in Suffolk County, Lake Ronkonkoma. 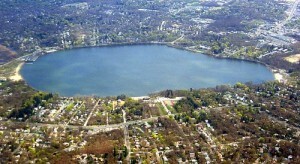 Lake Ronkonkoma was formed by ancient glaciers. Today, it is a popular summer spot. Pace Home Inspection Company ©2014.